For the past two years, the prospect of creating a Netflix tax or Internet tax has been the digital policy issue that would not die in Canada. 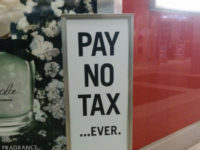 The Standing Committee on Canadian Heritage called for an Internet tax last June, the province of Quebec remains anxious to pay digital sales taxes (there is nothing stopping them from doing so now), and many creator groups continue to the call for mandated contributions on Netflix to “level the playing the field” (the level playing field argument is misleading). The uncertainty surrounding Netflix and ISP taxes has not been helped by the reopening of the issue at the CRTC after the release of the government’s digital Cancon strategy and Canadian Heritage Minister Melanie Joly’s occasionally leaving the door open to the possibility.